Ziggo Dome is a newly renovated and finished concert venue in Amsterdam, a giant indoor arena for the most popular concert events in the capital of Netherlands. Those events to small for the Ziggo Dome will most litely be arranged at the Amsterdam Arena instead. The first events will be held in June 2012, and following then several other artists will come here already in 2012, for example Pearl Jam, Readiohead and some other hotshots. Among the names you can find Lionel Richie, George Michael, Deep Purple, Madonna, Sting and more. For updated information on concerts in Amsterdam and concerts in the Ziggo Dome, check out the news further down on the page, and visit our page dealing with concerts in Amsterdam. 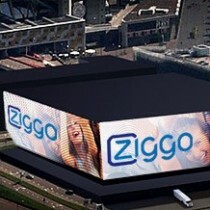 The Ziggo Dome has a capacity of more than 15,000 people, which makes it one of the larger indoor concert venues in all of Europe. If you have the chance, do not miss out on all the cool concerts to be arranged in this venue in the future.